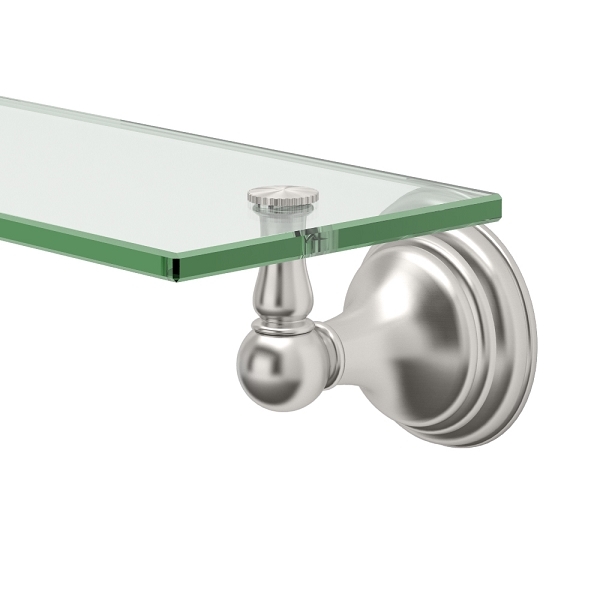 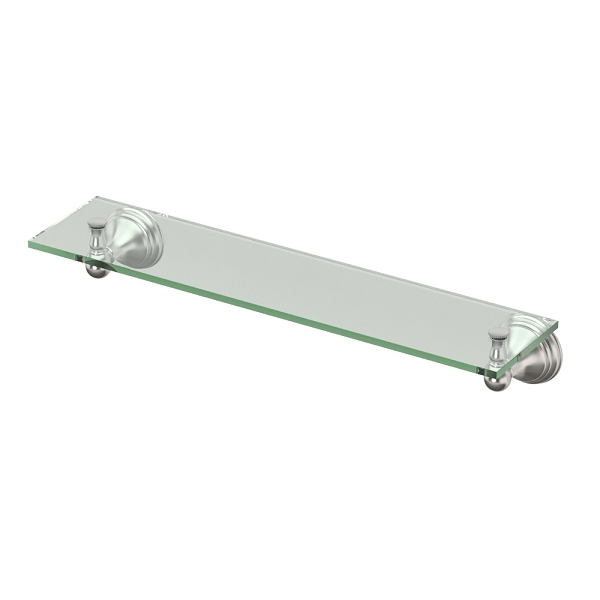 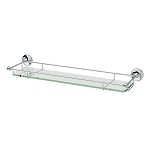 Charlotte Tempered Glass Shelf provides a classic design featuring a tiered detail accent makes it perfect for any traditional bathroom style. 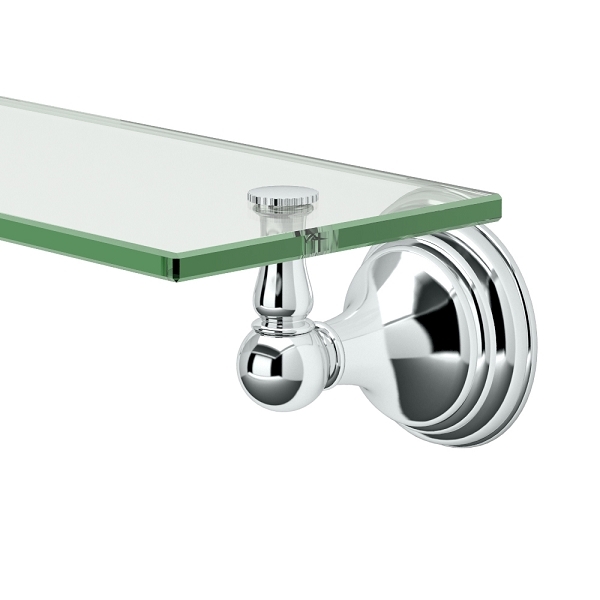 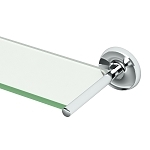 Graceful and elegant, each piece is hand polished creating a very discreet bathroom decoration. 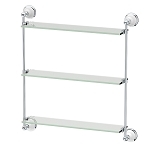 Measures approximately 20 1/8-inches length by 5 3/4-inches depth.